Ogden, Utah — PDCflow announces another step forward for payment technology with its new web chat payment feature. With this product, businesses can send a payment form directly to their customers through the online chats used by their customer service departments. While the product is referred to as a web chat payment solution, the feature offers more to businesses than quick, secure payments. 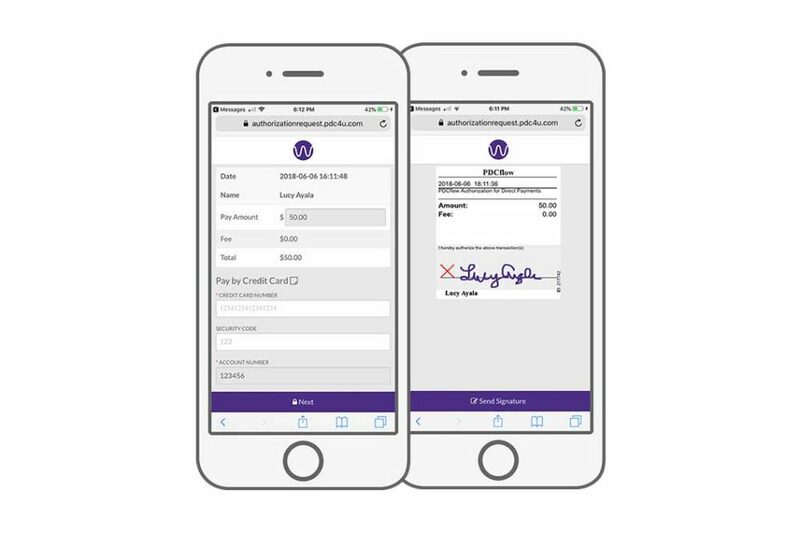 The product offers all the functions available through PDCflow’s traditional flows: document delivery for review and signature (such as contracts and authorizations), PDF forms for filling (to sign up for service or provide payment authorization), photo upload (to collect ID or insurance card information) as well as ACH (eCheck) and PCI certified credit card payments. Mix and match the services to create your own optimized workflow around your business and make your client’s payment experience as simple as possible.